Dark Cherry and White In Stock - Ready to Ship; Light Cherry Limited Stock! 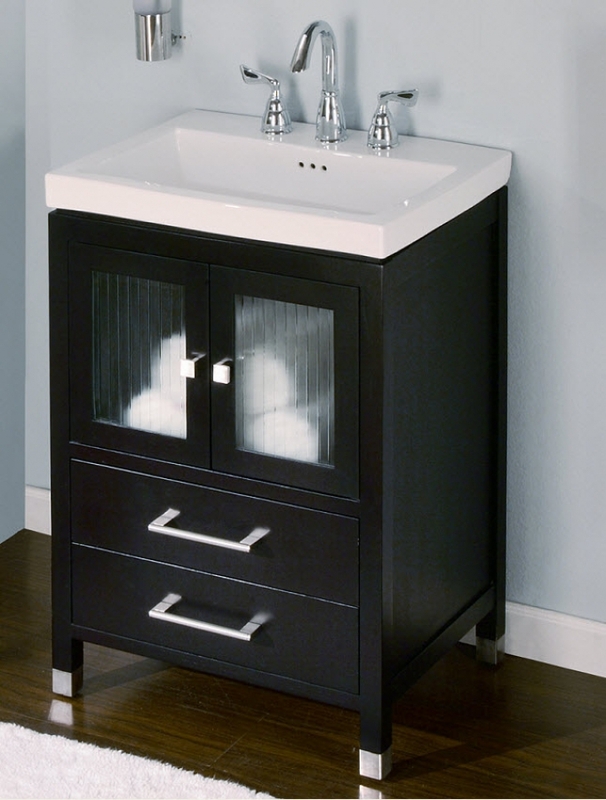 This vanity is a great way to tone down a dark or stark bathroom without adding elaborate accents. The white sink, frosted cabinet doors and nickel hardware lighten the dark color of the vanity. 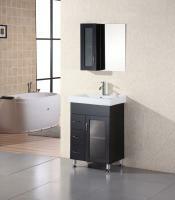 You can also choose a lighter finish such as white to contrast dark colors in your washroom. I was having a hard time finding a vanity narrow enough for my limited space, but that also provided much-needed storage. This vanity is perfect - it's well constructred and sturdy, the rectangular sink is large, and the storage is great - 2 drawers plus some space under the sink for bottles etc. 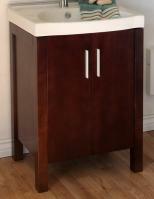 I'm really pleased with the vanity and sink, and it was delivered much sooner than i expected - a bonus!